Now, that isn't news, but the teardown by market research company iSuppli shows just how much money it's losing. 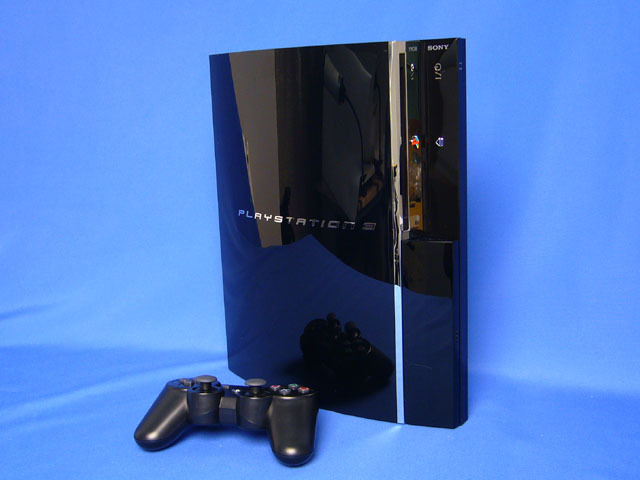 The combined materials and manufacturing cost of the PlayStation 3 is $805.85 for the model equipped with a 20Gbyte Hard Disk Drive (HDD), and $840.35 for the 60Gbyte HDD version, according to iSuppli’s Teardown Analysis service’s preliminary estimate of expenses in the fourth quarter. This total doesn’t include additional costs for elements including the controller, cables and packaging. Ouch! It needs to get the consoles out so that it can sell the games to make that money back! Spam e-mailers have targeted Patriot Scientific, which has a deal on the Charles Moore patent pool. The spam emails highlight the deals signed by Intel and AMD to license the patent pool. The Moore Microprocessor Patent (MMP) portfolio is named after Charles Moore, the inventor of the FORTH programming language, rather than Gordon Moore of Intel. While some of the first RISC processor patents come to an end this year, the Moore patents date from 1989 and will run until 2012 at the earliest. Although they have been around for over 15 years, the Moore patents have had a chequered history. Up until last year there was a dispute on who owned them – a company called the TPL Group in Cupertino, California, where Moore is chief technology officer, or Patriot Scientific in Carlsbad, California. That was resolved last June, when the two agreed to co-operate, and since then TPL has been marketing the portfolio through its subsidiary Alliacense. These have been taken up by companies such as Intel and AMD, as well as Hewlett Packard, Casio and in early June, Sony. "Patriot Scientific has undergone tremendous positive change in the last year," said David Pohl, Patriot Scientific chairman and CEO. "The shift away from developing and marketing our own Ignite microprocessor to focus primarily on revenue from the licensing of our patent portfolio has bolstered the financial strength of the company. We are excited about the next phase of our plan that has already begun in which we are evaluating opportunities to diversify our revenue stream through possible joint ventures or acquisitions, all with the goal of increasing shareholder value." “We spent a lot of effort looking at the patents and we are quite happy that we don’t infringe,” said Mike Muller, chief technology officer and one of the founders of processor designer ARM. But the spam e-mails are a classic pump-and-dump, where existing shareholders are trying to shift shares that are usually worthless by increasing the publicity around the company. Although the shares stand at $0.71, the company saw an income of $6m last quarter and income of $28m last year. So it seems an odd candidate for the pump-and-dump. Can you hear Infineon rain on Akustica's parade? Infineon has launched a microphone based on micro-machined silicon technology that will directly challenge US startup Akustica, which holds some fundamental patents licensed from Carnegie Mellon university. The startup recently saw its parts shipping in laptops from Fujitsu and a deal with Ricoh, but with Infineon now in the market with strong links to automotive manufacturers and high volume manufacturing, the smaller company may struggle. Unless of course it goes for the legal route, and the Akustica management are convinced they have a fundamental position. 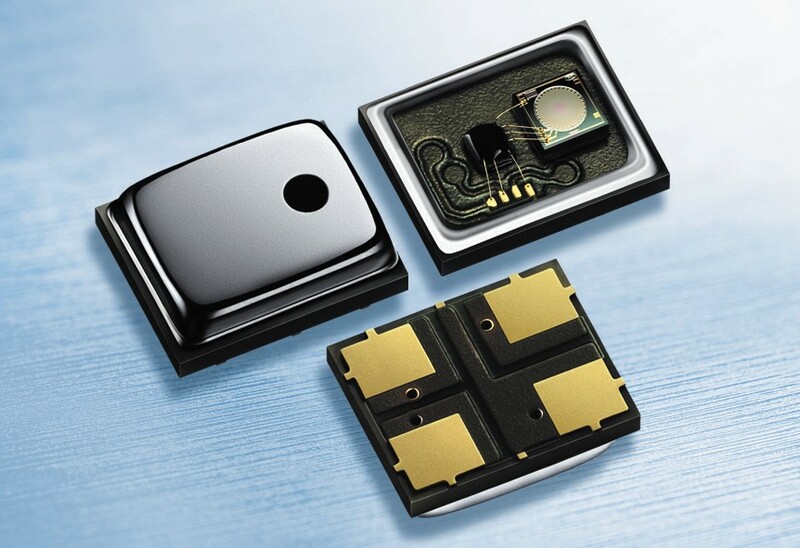 The Infineon Silicon Microphone consists of two chips combined in a single package. The MEMS chip is a capacitor made up of a stiff and perforated backplate and a flexible membrane on a silicon substrate and transfers the sound waves into capacity variations. The ASIC chip converts the capacity variations into an electrical signal. The new silicon MEMS microphone that is much more heat-resistant and rugged than the typical microphones used today, which are based on electret condenser microphone (ECM) technology. The silicon MEMS microphone can withstand temperatures of up to 260 C and is much more immune to vibrations and shocks, so it can be easily soldered onto any standard PCB and is ideally suited to use on fully automated production lines common to mass market consumer products. A 1.5 to 3.3V power supply slashes the miniature microphone's power consumption to about one third (70 µA) that of ECM microphones. Silicon MEMS microphones can be used in anything from new mobile handset and headset models, to consumer electronics and notebook applications, medical systems, such as hearing aids, and even for such automotive applications as hands-free phones. Several identical individual microphones can easily be configured to form the arrays for directional microphones, as the conformance of silicon microphones can be ensured and variations over time remain low. “We can even envision using these microphones in industrial applications as acoustic sensors to monitor machinery for example,” says Peter Schiefer, head of the Discrete Semiconductors business unit at the Automotive, Industrial and Multimarket business group of Infineon Technologies. Market researcher firm Wicht Technology Consulting (WTC) estimates that the market for silicon microphones will grow from $56m in 2005 to $680m in 2010. The microphone has a signal-to-noise ratio (59dB(A)) and high sensitivity (10mV/Pa). 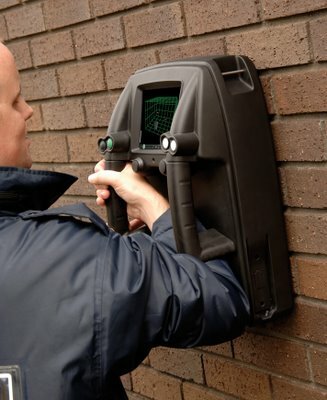 Strange it may seem, but a portable, battery-powered radar system is being commercialised by Cambridge Consultants. The Prism 200 operates up to 20m through walls to show what people are doing the other side, and of course has had great interest from the police, military and the emergency services. The nice touch is the interface, which strips out reflections and extraneous info to show the 3D movement of the people. But, I do have to ask, why in the long term surveillance video below does it look like the poor engineers at Cambridge Consultants work in a prison? The public areas of the building are very nice - is this the punishment wing? AMD has made what might seem a strange move to back the OpenFPGA community developing high performance computing systems on FPGAs. Companies such as Nallatech, Celoxica and Cray, along with research labs such as GE Research, Oak Ridge National Labs and Sandia National Labs are developing ways to use reconfigure FPGAs devices to run algorithms directly (and much faster), rather than having to translate these to C code and run them on slower processors. But the deal is much more about interconnect – the Torrenza initiative announced in June is about connecting up the AMD processors to other processors and to co-processors, such as FPGAs, via the Hypertransport interconnect. The new generation of FPGAs from Xilinx (Virtex 5 LXT) and Altera (expect a Stratix 3 GX) will have high speed, multi-gigabit interfaces on them that will help this along. AMD also announced, in conjunction with the Computer Architecture Group at the University of Mannheim in Germany, the creation of the Mannheim Center of Excellence (COE), for research for HyperTransport technology. As the only current academic licensee of coherent HyperTransport (cHT), the research at the Mannheim COE is expected to directly benefit the academic community and the development of next-generation technology that leverages HyperTransport. Early results from the Mannheim COE research include the release of an HTX board for universities and companies that research compute-intensive testing and design applications. International arbitrage has really had an effect on the launch of the Sony PlayStation3, and not for the stunning leading edge technology. Unfortunately it is not the Cell processor or the graphics that has people lining up to buy, but the opportunity to sell the consoles on quick for large amounts of money. All very sad, but a classic result of demand and supply when Japan had just 80,000 units to sell, and these can be re-sold across the wolrd to enthusiasts. No doubt that will get itself sorted out when more supplies come in, but there is likely to be a repeat for both the US launch in a few weeks and European launch in March. For a breakdown of the PS3, have a look at the Japanese PC Watch site. The new WirelessHD special interest group is looking to replace the expensive HDMI cables that connect HDTV set top boxes and HD DVD/Blu Ray players to your lovely high def TV. It is proposing yet another wireless technology, this time based on a 60GHz (yes, you heard right - that's radar) technology developed by US startup SiBeam. The fact that they can do it in CMOS (although whether that is pure standard CMOS remains to be seen) is impressive and *could* make it cost effective. However, there are other technologies that are lower frequency and high enough performance for this application, such as UltraWideBand. Companies such as Staccato Communications, Artimi and Pulse Link have developed single chips in CMOS for UWB at much lower frequencies (and therefore lower power) for exactly this. Another UWB chip designer, Tzero Technologies, teamed up with Analog Devices on silicon for Wireless HDMI, based on standards developed by Panasonic, Philips, Samsung, Sharp, and Sony in July of 2003. So in short we have a ghastly mess. While there are three different technologies for wireless connection no one will integrate it into set top boxes and TVs, no one technology will get enough volume to fall in price and none of them will be adopted. And while power consumption is not seen to be an issue in the home (although with global warming highlighting the standby power consumption of equipment, it is) the thought of 60GHz millimetre wave signals being pumped around the living room worries me from a safety perspective. First samples and prototyping systems are expected in 2007, but don't expect volume. At all. Some think that the best time to spin out a new company is at the peak of the market, to get the best backing but to give the new venture time to develop while the market is quieter. If that is the case, then the fact that Cambridge Consultants Ltd (CCL) is looking to spin out new companies after a four year gap could be a strong sign! The company, which has previously been responsible for spinning out CMOS single chip Bluetooth and WiFi giant Cambridge Silicon Radio, video chip designer Alphamosaic (bought by Broadcom) and low cost microcontroller chip maker Cyan Technology, is setting up a £10m fund with venture capital group Esprit Capital Partners exclusively for the spin outs. Spin-outs from Cambridge Consultants collectively employ a stunning 3,000 people, many in the Cambridge area. CCL has a wide range of technologies in-house, from the low cost XAP microcontroller family to low power radio designs. But there are other areas, including radar and drug delivery that could yield spinouts, with the first one next year. “To make a truly successful venture you need three key ingredients – the right people, the right technologies and the right market conditions," said Ray Edgson, Ventures Director at CCL. "With confidence now restored in the global technology markets, we believe that it is people that make the essential difference between average and truly great new ventures. Our track record of success in this area shows that our unique culture allows us to develop just such people. Ironically the spinouts are important to attract the best staff, he says. "We are able to recruit some of the best engineers in the world because of the stimulating and creative environment we provide as they develop throughout their careers. However, whilst there is a structured career path within the company, our venturing model allows those who want to exploit their entrepreneurial skills to go on and start their own businesses, whilst being supported by our established networks and systems," he said. The new investment will be made by Prelude Trust plc, the investment trust that specialises in early stage technology-based businesses, now managed by Esprit Capital Partners. "By combining both partners’ venture expertise, our aim is to deliver a clutch of spin-outs over the next few years that will carry on the tradition of generating both employment and wealth-creation for many in the region,” said Simon Cook, CEO of Esprit Capital Partners.